The photography by Mark Weinburg is gorgeous! 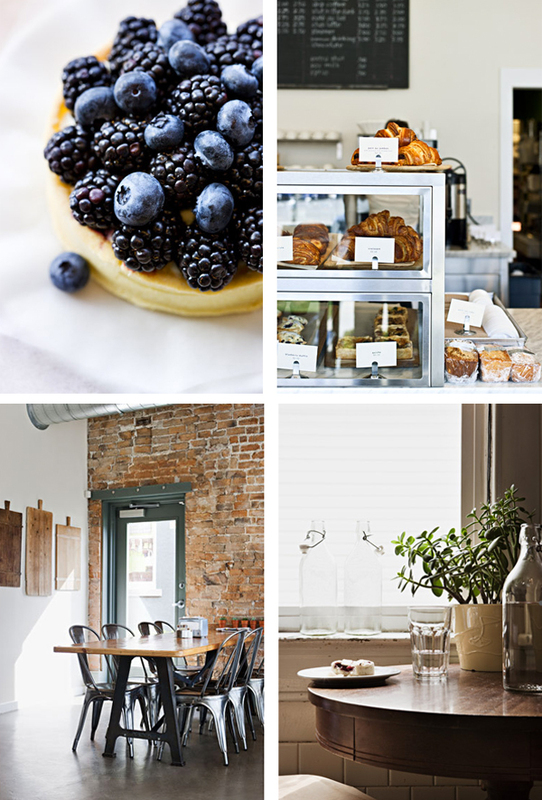 What is equally cool is that he photographed one of my favorite little bakeries in Salt Lake City Tulie, shown above. Have a look at his website and blog it is really great work! He captures light beautifully. Oh, so lovely! Thanks for sharing. lovely images..especially the dining room! I love the spaces and the way the photographer captured the feeling of each room. Thanks for sharing! Eek. I was flipping through and when I hit the table thought, "that looks like Tulie," Ha, how fun to see it and what a beautiful job! Okay I'm not that big a fan of blackberries but that photo is so amazing I want to eat my screen! Wow! love Tulie! looks even more amazing in the photographs. I can smell the delicious fresh croissants baking now. Great photos, very inspiring! Thanks for sharing.